The company is now manufacturing Synseal Stratus, an aluminium lantern roof system, from its factory in Sunderland. Terry Richardson, Managing Director of TWR, comments: “The rise in demand for luxury home improvements such as orangeries and flat-roof extensions has brought with it an increase in lantern roof installations as homeowners look to create a light and airy atmosphere in their home. Available in two way, three way and contemporary designs, Stratus is a fully thermally broken aluminium lantern roof system that offers over 60% more thermal efficiency than conventional aluminium systems. The roof is aimed at the high-end domestic roof market but is also suitable for commercial projects, increasing selling opportunities for installers. Stratus roofs can be installed as part of a new-build flat roof extension or used to increase light in an existing flat roof building. 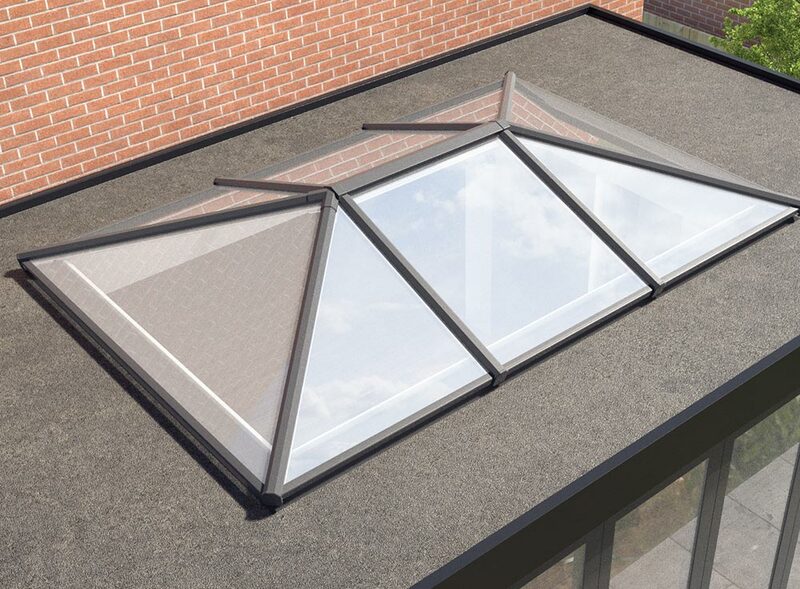 Slim sightlines and a 66% smaller ridge than standard gives Stratus roofs a premium architectural appearance, making the system suitable for commercial use too. Stratus is available in Anthracite Grey or Crisp White with a white interior as standard but thanks to its in-house powder coating facility, TWR Bifolds can manufacture and supply Stratus roofs in any RAL colour shade. “Not only does Stratus offer superior thermal performance and aesthetics over other systems, our in-house powder coating facility means we can supply custom coloured Stratus aluminium roofs on fast turnarounds, which is not a service most manufacturers can offer,” concludes Terry. To get an estimate or quote Terry is encouraging installers to contact him via the following email: stratusquotes@twrgroup.co.uk – alternatively you can call him on 0191 565 2200.